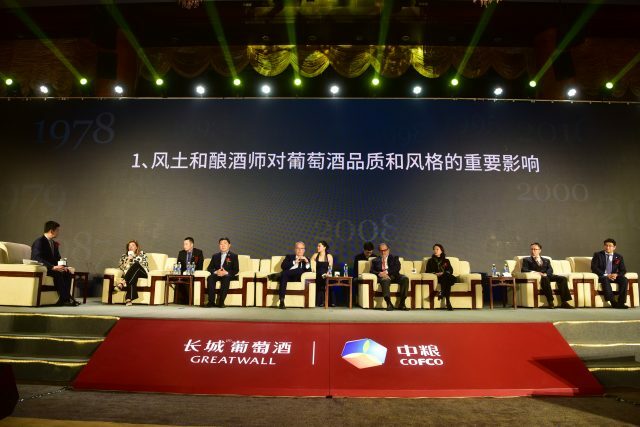 China’s leading state-owned wine producer, GreatWall Winery, has united key trade organsations in China and launched a joint declaration, vowing to produce Chinese wines that are ‘terroir-driven’ and ‘reflective of Chinese history and culture’. The declaration was revealed in mid-December at a wine forum hosted by the Chinese winery in Shenzhen to celebrate China’s wine industry; 40 years after the country’s landmark opening up policy. According to the declaration, wines produced from China with its unique typography, terroir and cultural heritage are grouped under what it calls “the third force of the wine world” that can stand toe to toe with New World wines and Old World wines. This ambitious declaration has already received backing from the country’s major official trade organisations including China Alcoholic Drinks Association, China National Food Industry, China National Association for Liquor and Spirits Circulation, and China Food Association, which are also listed as co-initiators. The rhetorics are in line with a winery which sees its rise mirrored in China’s economic growth since 1978. According to the winery, it produced the country’s first dry white one year later in 1979, and first dry red in 1983 and first sparkling wine in 1989. 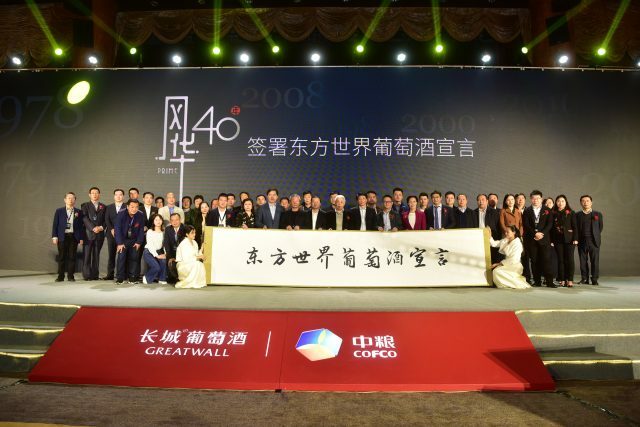 Now 40 years after opening up, GreatWall is posed as an advocate for the Chinese wine industry’s emergence. This also comes at a time when the country is making a drive to push the domestic wine industry from every angle, including production quality to launching its own wine rating system. China’s premier wine region Ningxia, often dubbed ‘China’s Bordeaux’, is gaining prominence globally, and luxury group LVMH’s first Chinese wine ‘Ao Yun’ made in Shangri-la in Yunnan province is another vote of confidence in Chinese wine. Currently ranked as the world’s seventh biggest wine producer, China’s wine production however has been declining each year. Wine sales are also squeezed by competition from imported wines. According to GreatWall, its wine sales in 2018 nonetheless reported positive growth. The winery claims its sales reached over RMB 2 billion (US$295.5 million), and is expected to surpass RMB 5 billion (US$738.7 million) in the future, though a timeline was not specified. The winery has hired a former Penfolds winemaker to boost its quality, and has been working with Bordeaux wine consultant Michel Rolland since 2011 on its top range wine ‘The Chief Winemaker’s Selection’. GreatWall has nine different estates across four provinces in China, namely Ningxia Winery, Chateau Tianfu in Ningxia, Chateau Tianlu in Xinjiang, Zhuolu Winery, Chateau Sungod, Shacheng Winery, Huaxia Winery, Chateau Huaxia in Hebei province and Penglai Winery in eastern Shandong province.